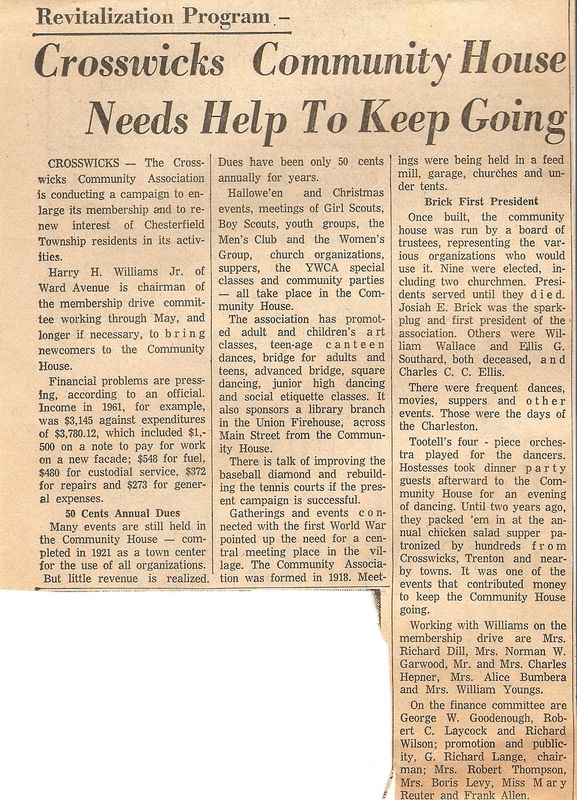 More than 90 years ago, some citizens got together to form The Crosswicks Community Association with responsibility for The Crosswicks Community House. 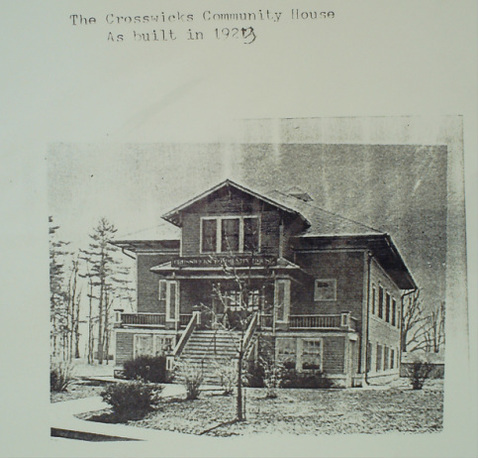 The Crosswicks Community Association was incorporated in October 1919 and the Crosswicks Community House was open in 1923. 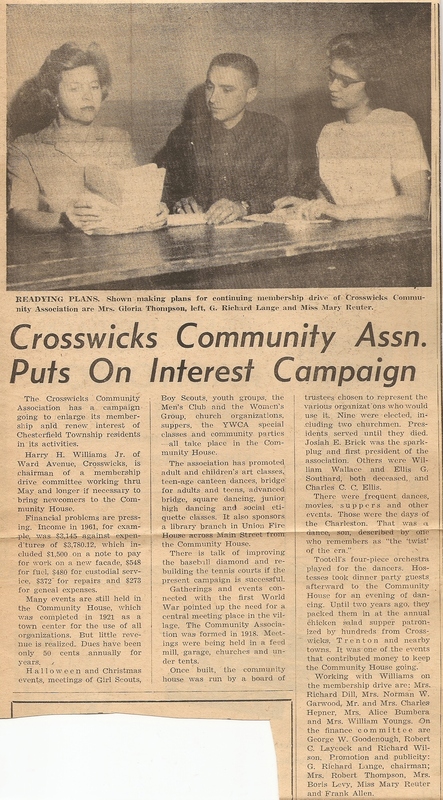 At that time many of those most active in township affairs lived in Crosswicks, hence the name; however both the Association and the building have centered on township affairs. Excerpt from Chesterfield Township Heritage, published by the Chesterfield Township Tercentenary Committee, 1964 (Pages 207-208).